On tap at Ambulance, bright citrus juicing stays crisply clean alongside spicy floral herbage of quadruple dry-hopped IPA. Lemony orange-peeled grapefruit and pineapple tang given mildly sour white grape, mango, passionfruit, papaya and lychee tropicalia to graze resinous pine tones to its plain oats-sugared spine. On tap at Ambulance, crisply clean tropical fruiting gains light pine needling and musky floral herbage to contrast mildly vanilla-creamed caramel malt spicing. For a sour twist, limey gooseberry tartness gains a foothold alongside juicy grapefruit, tangerine, mango and peach tang. Just a tad outside the double dry-hopped IPA box. On tap at Seven Lakes Station, crisply clean hop-forward German pilsner brings herbal grassiness and light earthen musk to subtle melon, strawberry, gooseberry and grapefruit tartness above sweet Vienna malts. Mild lemon-soured acridity at finish reminiscent of moderate-bodied Kolsch. On tap at Ambulance, velvety maple-creamed Imperial Stout (brewed in collaboration with Maine-bound Bunker Brewing) retains brown-sugared maple molasses sweetness, sugary vanilla-laced chocolate caking and rich cookie dough malting above dark-roast hop char as bitter burnt wood singe and mild alcohol burn creep forward. Tertiary cola nut, toasted marshmallow, cappuccino and cocoa tones deepen decadent dessert beer. On tap at Ambulance, chewy black chocolate frontage fades as powdered cocoa and ground coffee illusions evolve alongside black currant-spiced dried cherry and plum nuances for dryer stylish Imperial Stout. On tap at Ambulance, “beefed up version” of Short Dark & Handsome Stout drapes rich molasses-sugared brown chocolate syrup atop cocoa-powdered coffee roast and bittersweet vanilla adjunct. Chocolate mousse, caffe macchiato, toasted coconut and dried cherry illusions enrich mocha oatmeal cookie finish. 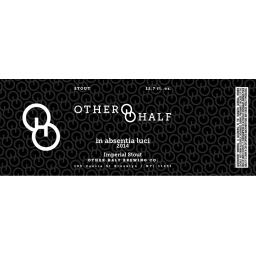 On tap at Ambulance, delightfully approachable limited edition collaboration with Other Half brings lemony yellow grapefruit zest to sugar-spiced crystal malting and subtle herbal pining. Citra-Mosaic hops increase juicy orange tang at the midst as elusive pineapple-mango-guava tropicalia flutters beneath. On tap at Ambulance, soft-toned IPA with mildly creamed sugar-spiced crystal malting subtly contrasts lemony grapefruit, orange and pineapple tang against mild piney hop bittering above desolate dried oats spine. On tap at Ambulance, gloriously fruitful wheat wine competes well against finest sherry. Veritable fruit cocktail gathers tangy peach, cantaloupe, nectarine, honeydew, cherry, peach and fig sweetness above caramelized Maris Otter pale wheat malting. In the midst, creamy toffee spicing contrasts mild hop astringency to seal the deal. On tap at Ambulance, rich molasses-sugared black chocolate syruping engages cocoa-powdered coffee roast above oats-roasted hop char. Vanilla bean, walnut brownie and espresso illusions flutter by. On tap at Ambulance, smoked cherrywood setting affects heavy black chocolate influence and bittersweet black cherry surge, receiving soy-sauced peat soiling above mild oily hop char. Far beneath, bitter cocoa tones and wispy dried fruiting waver. On tap at Ambulance, curious grain-ensconced farmhouse ale brings millet and buckwheat malting to the fore as musty lemon rot gains wet-leathered horse-blanketing and brown tea respite.